Free Insurance Claims Management - IC Assist work for YOU not your insurer! 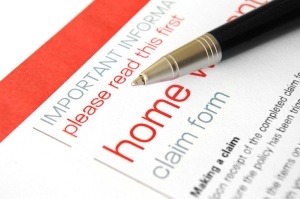 Our FREE insurance claims management service takes care of all aspects of your claim. As insurance specialists, we manage your entire claim and handle everything on your behalf. This includes dealing with your insurer and any Loss adjuster they appoint on their behalf. Your satisfaction is really important to us and that’s why our service is tailored to your needs. From the outset, you will have a dedicated Claims Manager, who will manage everything. He’ll be your one point of contact, from the survey of the damage through to completion of the repairs. As your claim progresses, he’ll keep you updated. So you will know what is happening with your claim at all times. We do not charge you or your insurer for this service, providing we carry out all authorised repairs. You will only pay your policy excess. Why do we offer a FREE insurance claims management service? Our free claims management service is designed for customers who don’t have the technical knowledge required to make a successful claim. Over the years, we have helped many customers who had their claim rejected by their insurer. Primarily, this was because they had no experience in dealing with an insurance claim and didn’t understand their policy wording. These customers clearly needed a professional like IC Assist to represent them. Thanks to our years of experience in managing property claims, we have helped many customers overturn their insurers decision. In each case we ensured their property was repaired in line with what their policy covered them for. Our service is particularly useful if you are claiming for water damage to your property. As water damage restoration can require many different types of contractors to complete the repairs. Furthermore, specialist drying equipment may also be necessary, in order to dry any wet building materials. Let us get your claim moving – take advantage of our FREE service now! Making a claim with IC Assist really is easy and stress free! Simply call us now to book your no obligation survey and leave the rest to us. Our FREE insurance claims management service takes care of everything – your insurer, their Loss Adjusters, the contractors and all the phone calls. Our Google, Facebook and My Builder reviews show what our customers think about both our claims management and home repair service. You can also see our customer surveys and testimonials in our album on Facebook.